In many ways, I feel like I’m already living digital rhetoric’s future. I’ve been in universities since 2007, at a time when digital technology became more accessible, more powerful, and more handheld. In 2006, Twitter was founded, and Facebook removed its restrictions to allow everyone 13 and older to join. The original Macbook Pro was also introduced in 2006; the first-generation iPhone was released in 2007. The Android Operating system was released in 2008. Just typing all those dates is kind of mind-blowing. Along with the technological changes of the time, I moved through institutions whose understanding of and access to digital tools and technologies were changing just as quickly. I began my academic journey at a small liberal arts (now turned STEM-heavy, but that’s for another blog post) in the Appalachian mountains. I stayed in the area for my master’s degree, attending a public university in the region. When I went on to pursue my PhD, I traded the Appalachians for the Ozarks and my small master’s granting university for a relative R1 newcomer, having been granted highest research status in 2011. Now I find myself at a state university in the heart of the most technologically advanced area in the United States, Silicon Valley. It was around 2013 that I decided I wanted to study social media, and an advisor joked (I think?) that if I wanted to study that, I should have majored in computer science (because that’s what computer scientists do, right?). In 2016, I designed and taught a course about social media for business and communications majors. In my current position, in an English department where most of its graduates go on to work in Silicon Valley, I was hired as a “social media” and “technology” person. I guess I feel vindicated. 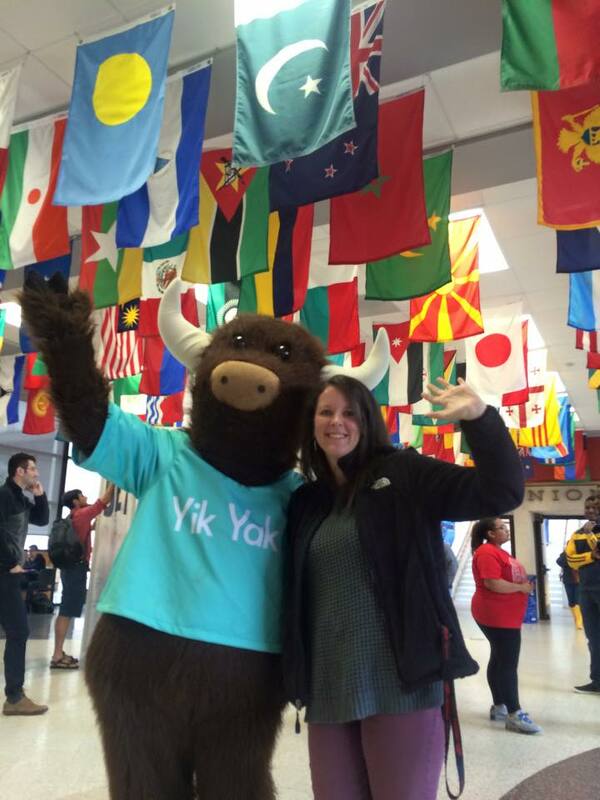 But also in 2016, I published an article about Yik Yak and began dissertation research about the platform and two others. Yik Yak shut down in 2017, before I had even finished coding my data. Digital technology is a fickle foe and an even more fickle friend. There have been several accounts of academics who have had to adjust their teaching and research methods when they move high-tech to more low-tech institutions (Moran, 2000; Karper, 2013). With the rate at which technology changes, perhaps the movement from low-tech to high(er)-tech is actually more common, and maybe that’s why we hear less about it. I came from a place and a time of blackboards, overhead projectors, and whiteboards (one of my professors still had a slide deck projector, but I think that says more about his unwillingness to adapt). I think Smart Boards made their appearance right before I went off to graduate school, where I then found that Smart Boards were mostly terrible replacements for whiteboards that never calibrated correctly. I spent entirely too much time in class trying to make the dot on an “i” show it in the right place. Later, in my PhD, I could actually write on computer screens (I know, right?! ), and it would show up on the projected screen for my students to see. Now I teach in super-cool (and super-complicated) Next Generation classrooms with a couple of Smartboards, a couple of computers and hookups for a few more, and laptop carts so that all students have access. 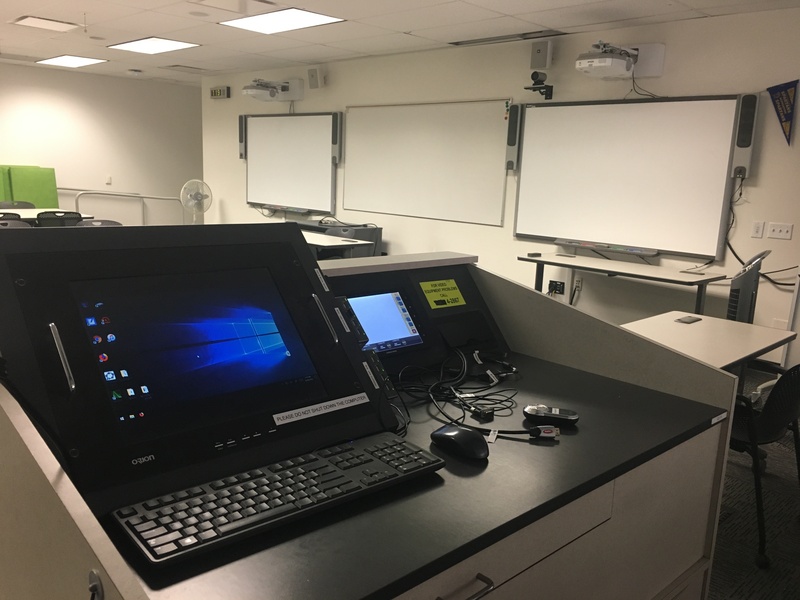 The inside of a Next Generation classroom, featuring a computer, tablet, projection screen, and two smart boards. And now I’ll tell you my secret: I have had IT representatives in my classroom for about a third of my classes so far. Here in Silicon Valley, technology reigns supreme, including in the classroom. In some ways, it reigns over me and my students. I’m a digital rhetorician, and so I should be bringing the digital into my classroom, right? And as students who will likely be finding jobs in Silicon Valley, so too do they need to know now to use these tools. But the digital breaks—no matter how advanced it is, and really no matter how advanced your infrastructure is (Devoss, Cushman, & Grabill, 2005). But here’s the thing: The students still loved having a guest speaker. They didn’t care that the technology failed, that it never actually worked the way it was meant to. They just loved hearing from someone else. And here’s the other thing: Their technology will fail too. It’ll be different technology, and they’ll likely be in a different situation, but it will fail. And they will be able to adapt. Maybe not because they saw me adapt in this single situation, but because by the end of the semester, they’ll see me adapt any number of times as I learn the technology. And because they will have seen any number of people in their lives doing the exact same thing. So what have I learned from living in the future? It’s not that I’m not prepared for the future. It’s not that I’ve slacked in my reading or my research or that I’m “behind” because I came from a small town in Appalachia. This is the future: a future of things that break, and a future of people who adapt. It’s the past too—we’ve always been dealing with things that break, and we’ve always been adapting. As I said before, digital technology is a fickle foe, and an even more fickle friend. DeVoss, Danielle, Cushman, Ellen, & Grabill, Jeffrey. (2005). Infrastructure and composing: The when of new-media writing. College Composition and Communication, 57(1), 14-44. Karper, Erin. (2013). Make it do or do without: Transitioning from a tech-heavy to a tech-light institution: A cautionary tale. Computers and Composition 30(1), 16-23. Moran, Charles. (2000). From a high-text to a low-tech writing classroom: You can’t go home again. The Quarterly, 22(3), 14-20. Sara West is an Assistant Professor of Professional and Technical Writing at San Jose State University.